Andalucia is crossed by the Sierra Morena mountain range in the north and in the south by the snowcapped Sierra Nevada. 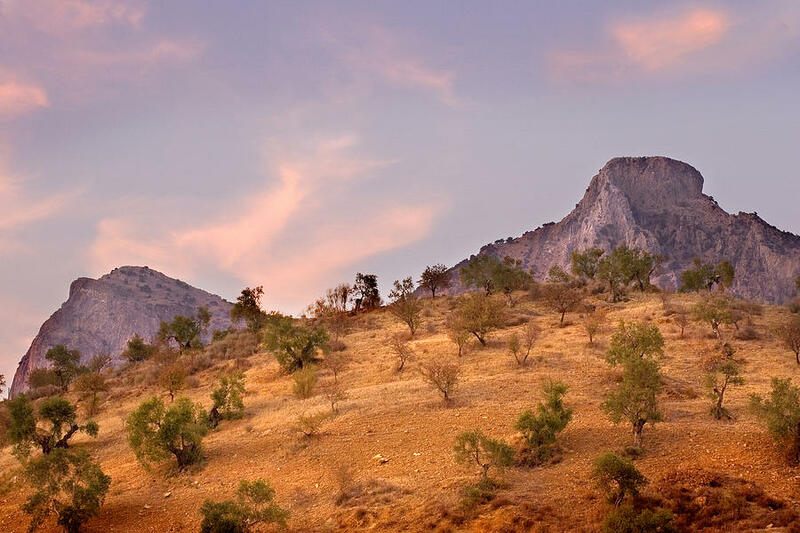 The fertile basin of the Guadalquivir River lies between these mountain ranges. 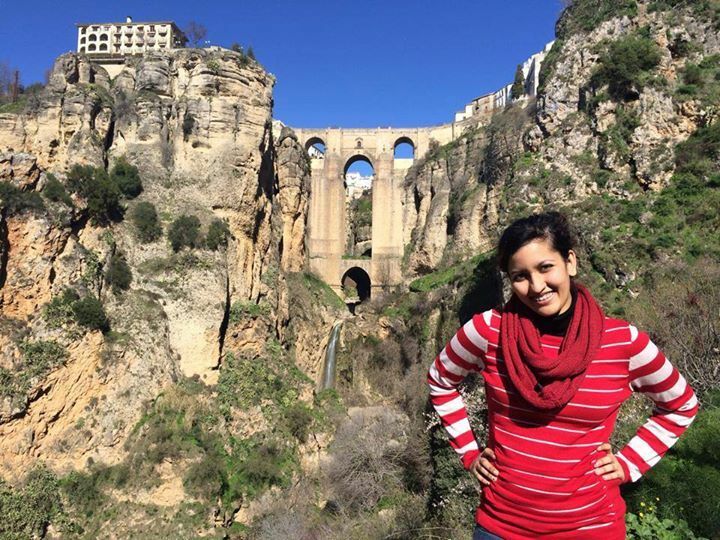 For a great number of people, Andalucia is all that they imagine Spain to be. Great climate, sun, sea and beaches,bullfighting, sherry and flamenco. Covering over 33,000 square miles and running the length of mainland Spain's southern coast it is the largest and most populous of the 17 autonomous regions of Spain. Phoenicians first settled here in the 11th century BC founding several coastal colonies among them Gadir which is now Cadiz. Greeks and Carthaginians came in the 6th century BC. The Romans expelled the Carthaginians in the 3rd century BC and they in turn had their rule ended by the Visigoths in the 5th century AD. 711 saw the Moors cross the Strait of Gibraltar and establish the centre of their western emirate here in Cordoba. 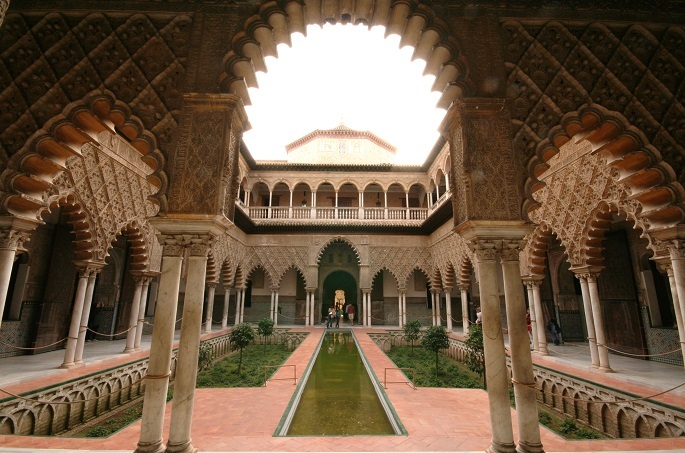 The Moorish period was the golden age of Andalusia. Agriculture, leather working, mining, pottery, textiles and trade were all fostered and brought great prosperity. Cordoba, Granada and Seville, embellished by the greatest Moorish monuments in Spain, the Mezquita,, the Alcazar and the Alhambra Palace respectively were celebrated as centres of arts, culture and science. It remained under Moorish rule until the 13th century when, with the exception of the Moorish kingdom of Granada, most of it was conquered by the kings of Castile, who in turn fell to the Catholic kings in 1492. Andalucia declined along with the rest of the country from the 16th century onwards. Although trade with the New World enabled the ports of Seville and Cadiz to continue to flourish. In 1713 Gibraltar was ceded to Britain and in 1833 Andalucia was divided into the present eight provinces. The region was a stronghold of anarchism during the Spanish republic. It, however, fell early to the insurgents in the Spanish civil war. Recurrent demonstrations against Franco were seen across Andalusia during his dictatorship. It became an autonomous region in 1981 and elected its first parliament the following year. The region has some interesting contrasts. 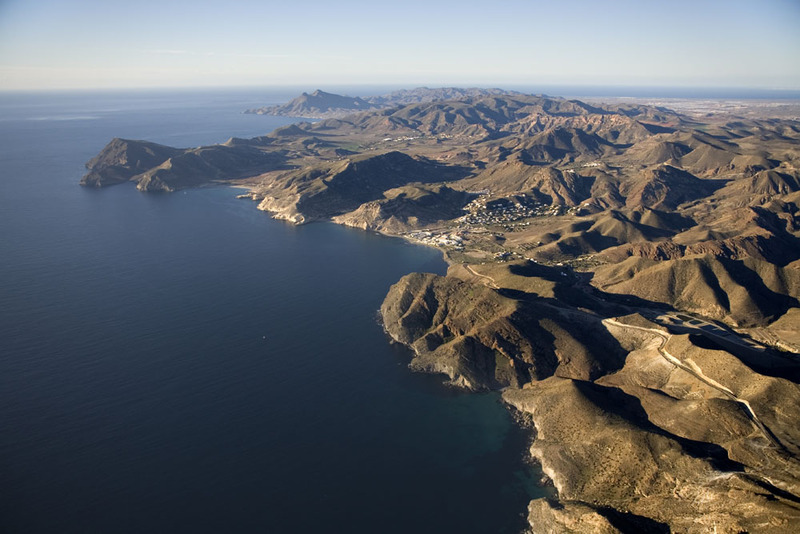 The deserts of Almeria in the east are the driest part of the whole country, while Sierra de Grazalema in the southwest, because it is exposed to winds of the Atlantic, is the rainiest part of Spain. Both the cities of Cordoba and Seville are notorious for their stifling heat during the summer months but the peaks of the Sierra Nevada remain snow capped all year round. And contrast the rugged coastline of the Cabo de Gata or the Atlantic coast of Cadiz, both with their comparatively deserted beaches, with the intensely developed area in the province of Malaga. Yes the beaches are still there - you just can't see them for the tourists. There is still a strong Moorish influence in the character, customs and language of the people. With its tradition of bull fights, flamenco music and dance, it is one of Europe's most strikingly colourful regions. With the abundance of Moorish architecture and it's pleasant climate it is easy to see why the growth of tourism has been so strong in recent decades. Agriculturally, barren lands contrast with rich fertile regions where cereals, citrus fruit, grapes, olives and sugar cane are produced. Industries, based generally on local agricultural produce, include flour milling, olive-oil extracting and wine making. 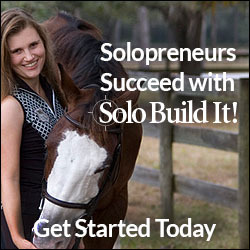 Cattle, bulls for the ring, and fine horses are bred. The rich mineral resources, exploited since Phoenician times, include copper, iron, lead and zinc. But despite all this, poverty is widespread. Farm labourers are among the poorest in Europe and many unemployed people have migrated to the industrial centres further to the north. 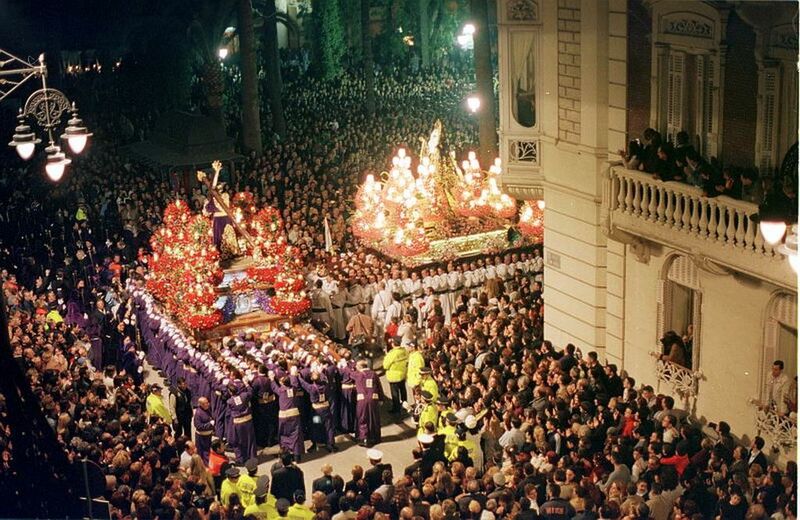 Easter is Andalucia's major festival and is celebrated for a full week. It features processions of hooded penitents alongside floats decorated with scenes from the passion travelling through the streets of most cities and large towns. Accommodation can be difficult to find during the week and booking ahead is advised. 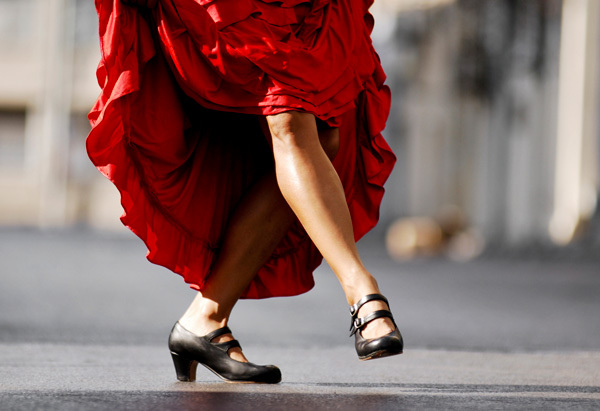 Flamenco is believed to have been introduced to Andalucia, it's home today, in the 15th century by gypsies arriving in the region. It is a combination of music, predominantly the guitar, song and dance and is played at fiestas, in bars and at private parties. Audience participation is very much encouraged. Probably founded by Phoenicians, Almeria flourished from the 13th to the 15th centuries as the outlet of the Moorish kingdom of Granada. In 1489 it fell to the Christians. Today the sunny, mild climate attracts many northern Europeans both as tourists and permanent settlers. The capital, also Almeria, is a busy Mediterranean port. It exports significant amounts of agricultural produce, as well as iron and other minerals mined nearby. The city has refineries, chemical and cement plants, and light industries. In 1100 BC the Phoenicians founded the port of Gadir, known today as Cadiz, which became a market for silver and tin. Some 600 years later it was taken by the Carthaginians and passed in the 3rd century BC to the Romans. It flourished until the fall of Rome, but suffered from the Visigoths and unlike much of Andalucia declined further under the Moors. Its fortifications were rebuilt following it's reconquest in 1262 by Alfonso X of Castile. Following the discovery of the New World, Cadiz revived its prosperity, as many ships from America unloaded their cargoes there. Columbus sailed from Cádiz in 1495, his second voyage. In the late 16th century both Sir Francis Drake and the earl of Essex led attacks on the fleet anchored there and the city respectivly. When in 1718 a sandbar blocked Seville's port, Cádiz became the centre for New World trade. The city declined after Spain lost its American colonies. Cádiz resisted a two year siege by the French from 1810 to 1812 until the Duke of Wellington's forces relieved it. Cadiz fell to the Nationalists in the Spanish Civil War. 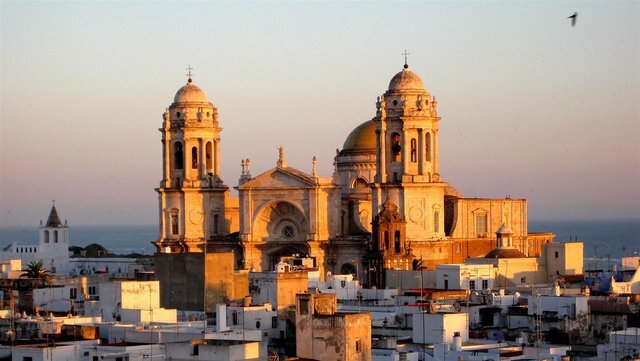 Today the city, which lies at the southern end of the bay of Cadiz, has an abundance of parks, promanades, and squares. It is chiefly a port exporting wines, notably the local sherry which has a worldwide reputation and other agricultural products. There is a large fishing fleet based here and some shipbuilding on a limited scale takes place. At the northern end of the bay is the US naval base at Rota. Cordoba lies beside a loop in the river Guadalequiver upstream from Seville. During the time when the Romans ruled, Cordoba was the largest city in Spain and enjoyed great prominence during the time of the Moors. 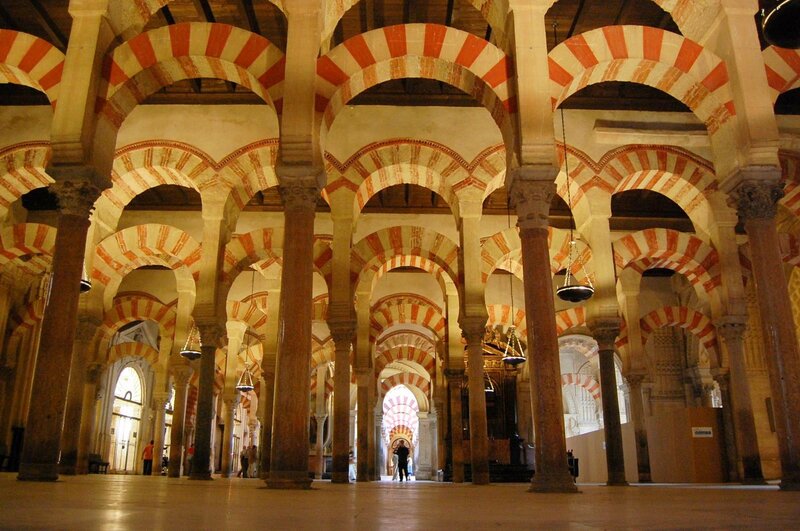 They built the Mezquita, the most beuatiful mosque in Spain. 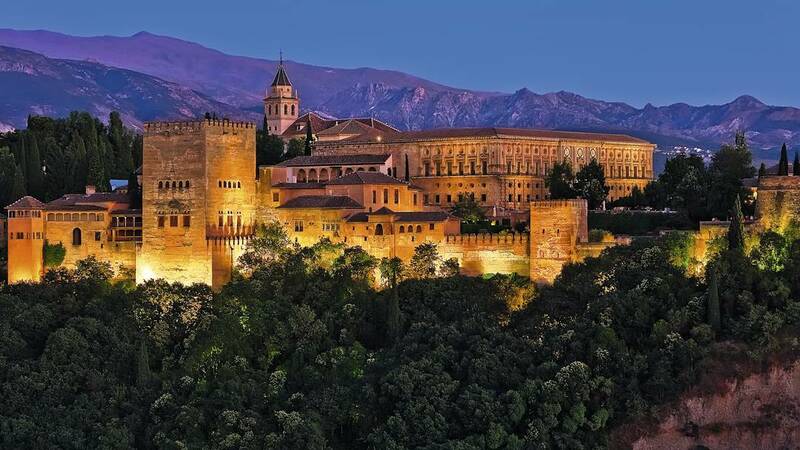 Originally a Moorish fortress, it became the seat of the kingdom of Granada in 1238. At the hieght of Moorish rule, this kingdom encompassed both the neighbouring province of Malaga and Almeria as well as parts of Cadiz and Jean. During this time the city was recognized as a centre of art, commerce, industry and science. As the christians drove south, the city was the stronghold of the Moors in Spain, surrendering eventually in 1492. In the 17th century Granada owed it's exi prominance to the fact that it was a major silk centre. It stands at the confluence of the rivers Darro and Genil. The local surrounding area is given over to agriculture and mineral extraction with Granada acting as the commercial hub for these. The city is a major tourist centre with attractions such as the Alhambra Palace and other notable Moorish buildings. Facing the Alhambra across the Darro river, the Sacromonte hill is honeycombed with gypsy caves. 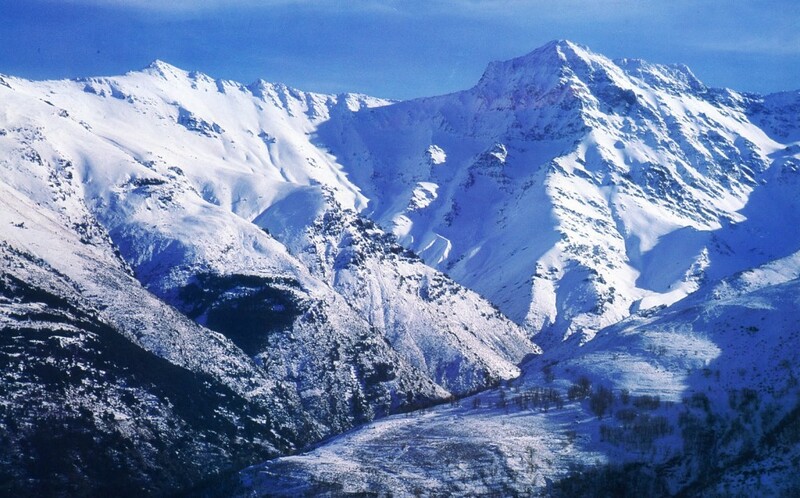 The nearby ski resorts in the Sierra Nevada also bring visitors to the locality. South of Granada lie the valleys of the Alpajarras bounded to the north by the Sierra Nevada and to the south the sierras of Lujar, La Contraviesa and Gador. The area is very picturesque dotted with the traditional whitewashed villages. Fertile soil provides good farming with citrus fruit, bananas and avocado amongst the food grown. 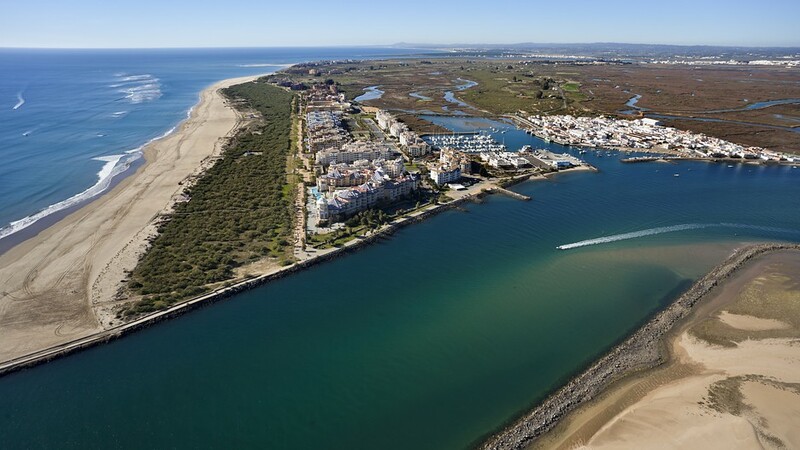 The city of Huelva which is the capital of the province of the same name, lies on the Odiel river. It is a busy port exporting copper, cork and sulphur. Like most Spanish ports it has it's fishing fleeet, and in addition some oil refining and ship building. It has a limited tourist trade during the summer months. The city is supplied with water via a Roman aquaduct. Columbus planned his voyages at the nearby La Rabida monastery. 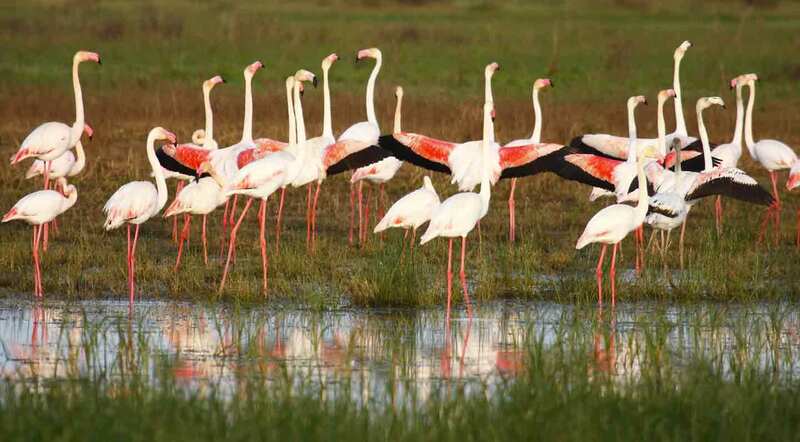 The Coto de Donana National Park, Europes most important and largest wildlife sanctuary, lies in the delta of the river Guadalquiver. 60,000 acres have been fenced off to provide the perfect habitat for varied speices of wildlife, birds in particular. 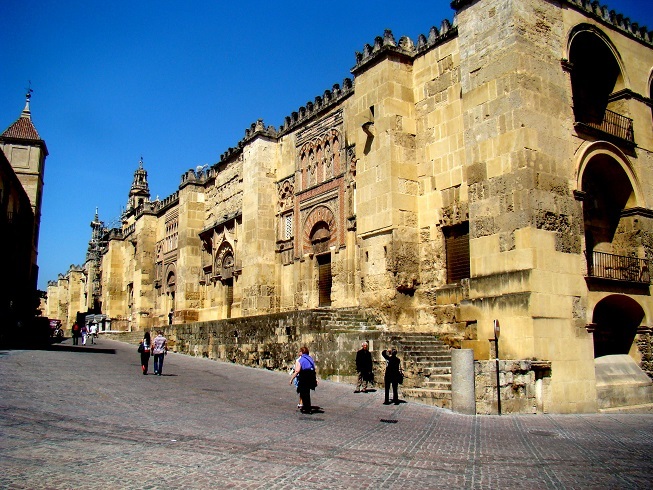 Jaen was once the seat of a small Moorish kingdom and played an important role in the conquest of Granada from the Moors by Christian forces during the 15th century. During the Peninsular war of the early 1800's the French won a major victory here. 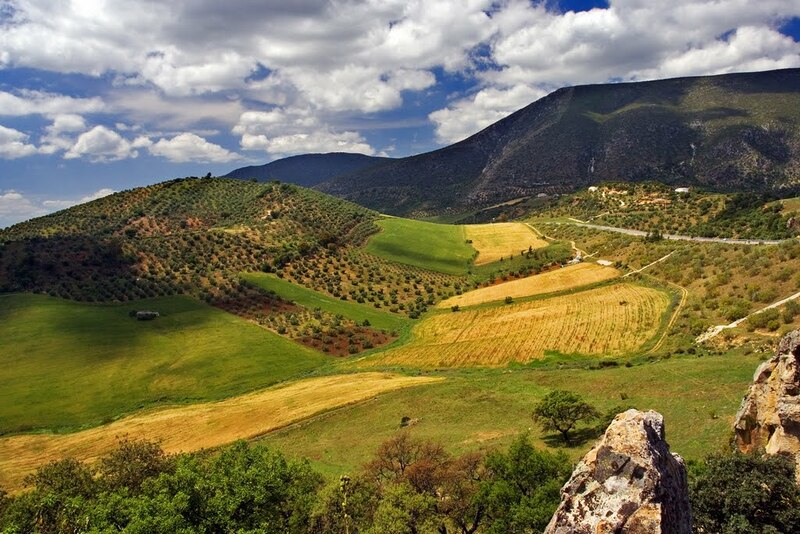 Today it is the commercial hub for a fertile agricutural area producing olive oil and wine. Europes richest lead mines are nearby and copper and iron are also extracted. The town Alcalá la Real is known for it's mineral springs. 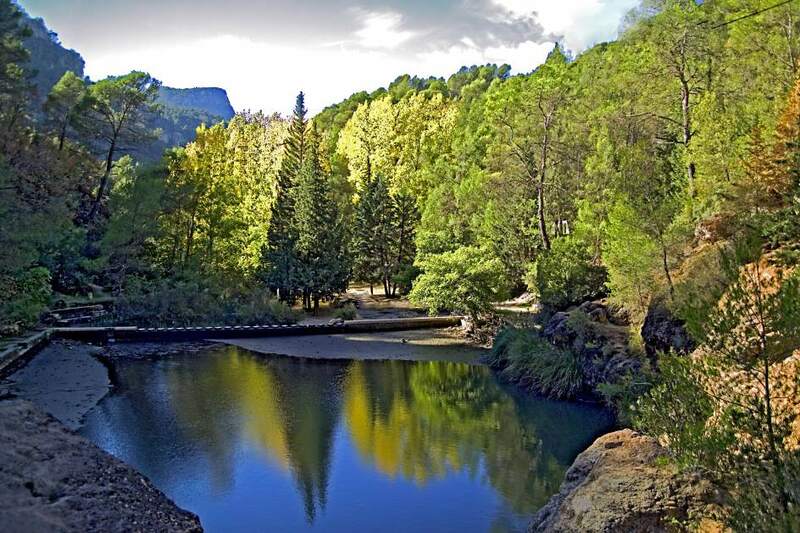 The Parque Natural de las Sierras de Cazorla, over 2,000 square kilometres, is the biggest protected area in Spain. Here you might see ibex, red or fallow deer and wild boar. The city of Malaga was founded by the Phoenicians and passed through the hands of the Carthaginians, the Romans, the Visigoths and the Moors when it prospered as a major seaport for the kingdom. It finally fell to the Christian forces in 1487 Málaga is situated on the bay of Malaga and is a major port. Exports include the local wine, almonds, dried fruits, olives and iron ore. 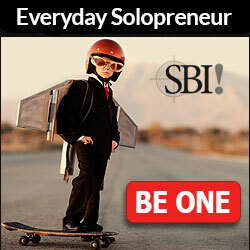 It's beaches, luxurious vegetation and mild climate make it one of the world's leading tourist destinations. Picasso was born here and you will find a museum of his works. Seville was important in Phoenician times and favoured by the Romans. It continued as the major city of southern Spain under the Visigoths. It fell to the Moors in 712 and became a prominent centre for culture and commerce. After a drawn out siege it was captured by the Christians in 1248. Some 300,000 Moors are reputed to have fled the city following it's capture. Seville entered its greatest period of prosperity with the discovery of the Americas and was the main trading port with the new colonies. In 1718 a sandbar closed the port to shipping and Seville went into a steady decline. Throughout the civil war Seville was held by the Nationalists. 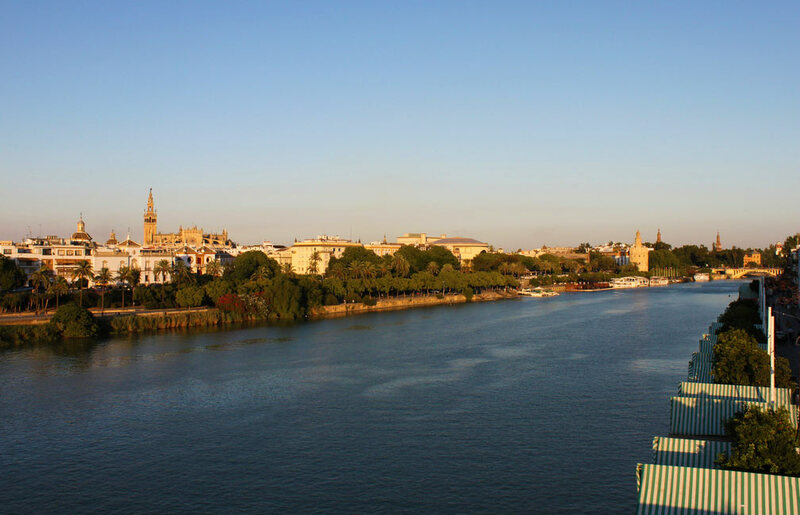 Today Seville is both capital to the province and the region of Andalusia. Standing on the river Guadalquiver, which connects it to the Atlantic, it has returned to be a port accessible to ocean going vessels. Exports include minerals, cork, fruit, olives and wines. Armanents, chemicals, explosives, machinary, perfume, pharmaceuticals, porcelain, textiles and tobacco are all manufactured locally. It is a major cultural and tourist centre. 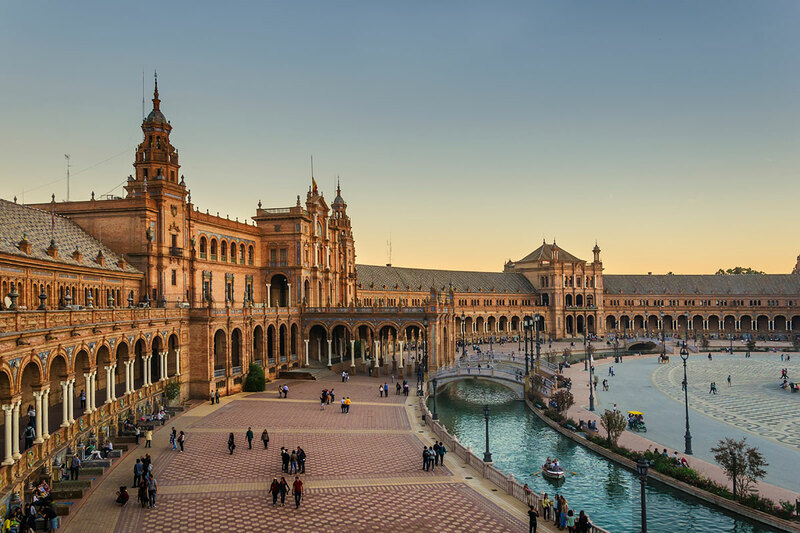 Seville has kept much of its Moorish aspect and one of the world's largest cathedrals occupies the site of a former mosque. 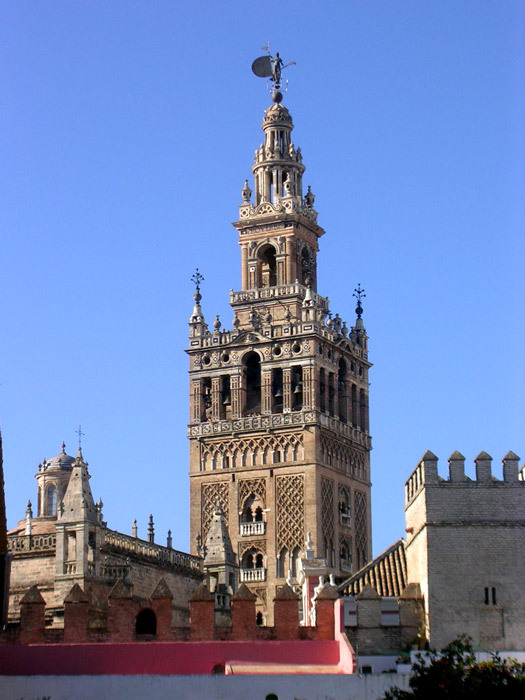 The Giralda tower and the court of oranges remain from the original Moorish structure. 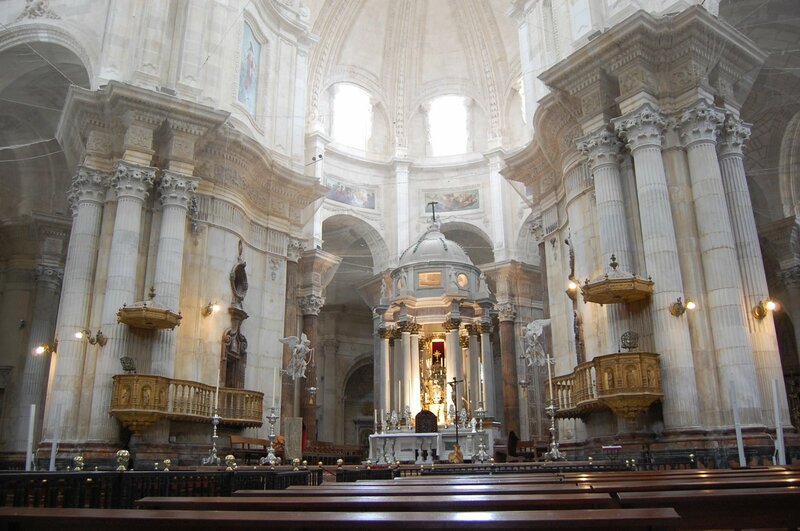 You will also find the tomb of Christopher Columbus within the cathedral. The 14th century Alcazar, built by Moorish artisans stands next to the cathedral and is superseded only by Granada's Alhambra Palace. It is recognized as Spain's leading centre for bullfighting.